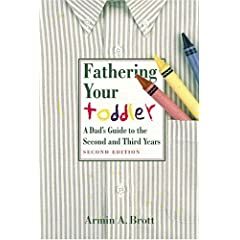 Hailed by Time Magazine as “the superdad’s superdad,” Armin Brott has been building better fathers for more than a decade. As the author of six bestselling books on fatherhood, he’s helped millions of men around the world become the fathers they want to be—and that their children need them to be. He has written for The New York Times Magazine, Newsweek, American Baby, Parenting, Child, Men’s Health, The Washington Post, and dozens of other major publications and websites. Armin is the host of “Positive Parenting,” a weekly radio program which airs in the San Francisco Bay Area and a number of other markets. He also does the “DaddyCast” podcast. As a trusted spokesperson, Armin speaks on fatherhood around the country and teaches classes for expectant and new dads. Armin lives with his wife and three children in Oakland, California.